Hiking is one of the best activities you can do with your family while on an RV trip. There’s something really special about getting out and being in nature. It brings the family together, cleanses the soul and provides a sense of well-being and accomplishment. Here I am at 2,915 feet on the Pacific Crest Trail. The internet has made it a lot easier to find information on great local hikes, but sometimes finding the information you want (or need — not always the same thing!) requires a bit of digging around. Fortunately, I’ve spent a lot of time doing exactly that kind of research and am happy to share these resources with you so you can find your own perfect hike. 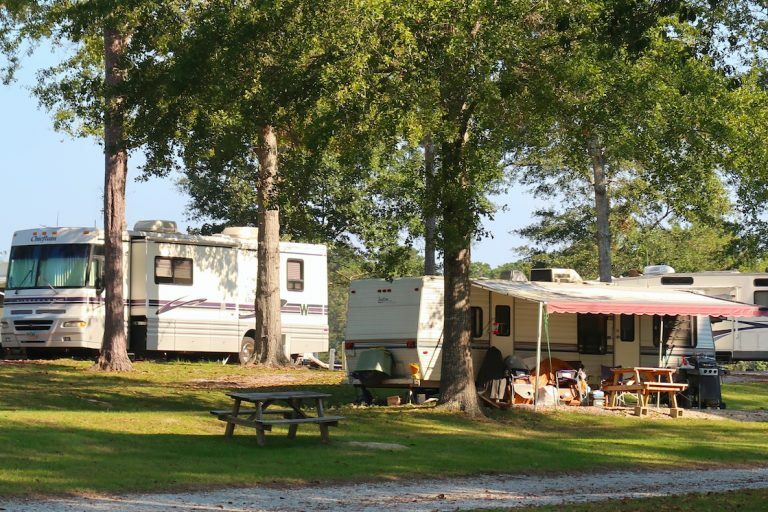 These resources are tried and true: My wife Camille and I are full-time RVers and hiking enthusiasts. 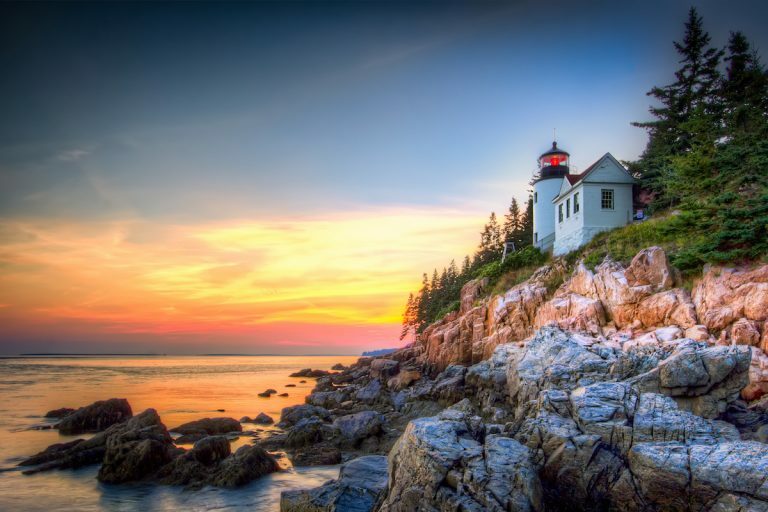 We’ve visited 29 states in two years and have used the resources described in this article to find amazing hikes everywhere we’ve been. Remember paper trail maps? There was a time when you’d literally have been lost without one! I’ve been camping and hiking with my family and friends ever since I can remember. Before Camille and I started our RV journey, we lived in California where I spent every summer backpacking in the Sierra Nevada Mountains. 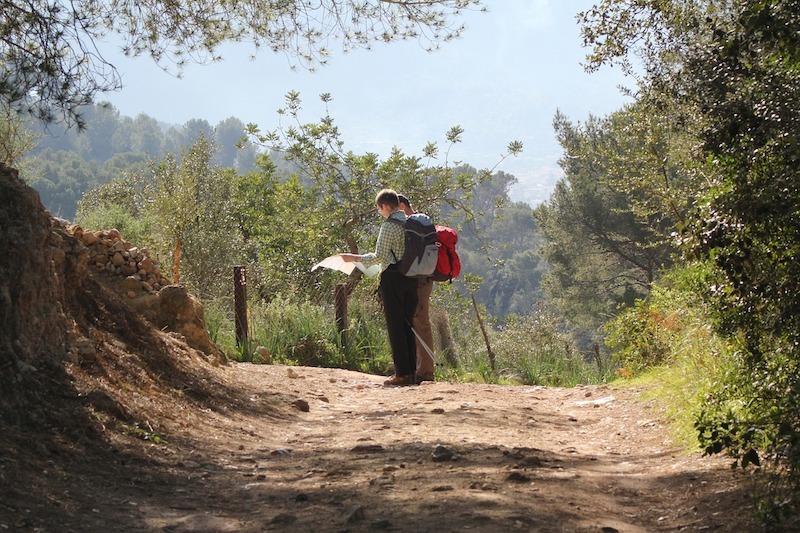 The resources used to find great hiking trails have changed dramatically over the years. Before the internet, mobile phones and social media, I used to buy guidebooks and maps to find good hikes. Then I’d call U.S. Forest Service or National Park ranger stations to check on permit requirements and current conditions. Once I’d chosen a hike, I would go to a local outdoor store to find a topographical trail map of the area. The maps usually cost around $10 but were a great insurance policy against getting lost in the wilderness. And off we would go with our backpacks, tents and a roll of film in our cameras on a grand adventure! Ironically, there are now so many free online resources available that you can spend more time researching hikes than actually hiking! But if you know where to look, these resources can make the process a lot simpler than it used to be. For example, we were in Atlanta for the first time and didn’t know anything about hiking there — so I jumped on the laptop and mobile phone and got to work. Google (or the search engine of your choice) is a great starting point for discovering nearby trails. 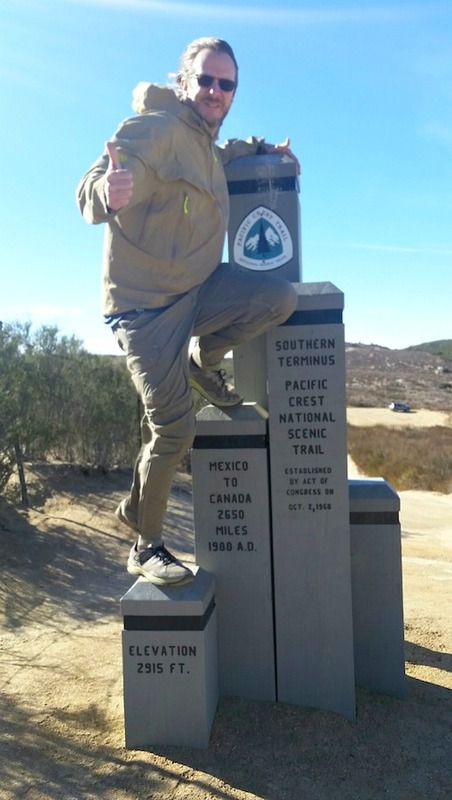 One of the things we like to do is hike to the highest point in each state we visit. 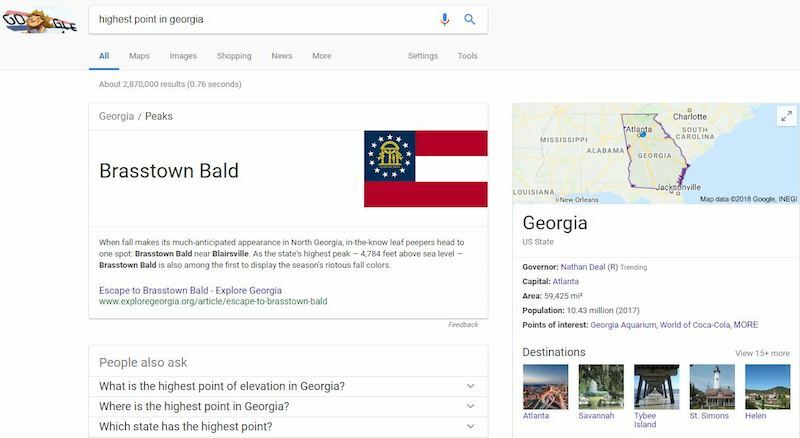 When we were in Atlanta, I simply typed “highest point in Georgia” into an internet search engine and it returned literally millions of web links including a Wikipedia article on Brasstown Bald — Georgia’s highest point at 4,784 feet above sea level. That’s almost a mile high! Not bad for being east of the Rockies (remember, I’ve been spoiled by all the high peaks in California). A related link at the bottom of the search results page was “Brasstown Bald hiking.” It included a link to the Chattahoochee-Oconee National Forest website. National park and forest websites are excellent resources — sort of like online visitor centers! If the hike that you’re investigating is located on National Park Service or National Forest land, these websites are great places to find information about driving directions, trail conditions, alerts, closures and any fees. 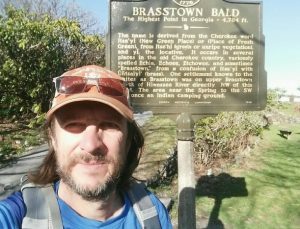 Through the National Forest website, I quickly learned that there were four ways to hike to the top of Brasstown Bald. Two of the trails were longer than I wanted (12 miles or more) and one was too short (1.2 miles). But the Jack’s Knob Trail — six miles round trip and 1,800 feet of elevation gain — was just right. www.summitpost.org | A user-driven website with information on many mountain hikes including descriptions, maps, directions, photos, trip reports and a climber’s log. www.outdoorproject.com | A website of curated outdoor activities searchable by location. Reports include hike overviews, photos, current weather, driving directions and field guide printables. 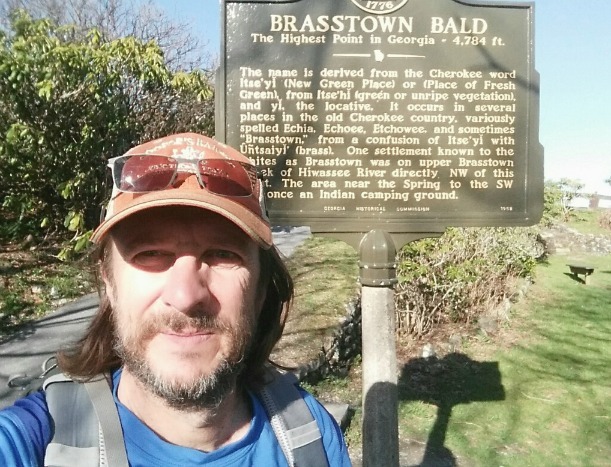 At the summit of Brasstown Bald, the highest point in Georgia. Once I knew where I wanted to go, I used the mapping app on my phone (Google Maps) to map my driving route to the trailhead — 101 miles in just over two hours. There were many fantastic hikes closer but I had summit fever! There are quite a few specially designed trail apps, but I end up using Google Maps a lot out of habit and because its maps also include many hiking trails and natural points of interest. I also use the Google Earth app to preview most of my hikes. Amazingly, you can often see the trails when you zoom in on the satellite views. In this case, I used it to check for parking availability at the Jack’s Knob trailhead. As I said, there are a number of excellent free hiking apps (for iPhone and Android) that you can use to find your next great hike. The information is often much more detailed than generic map apps like Google Maps, so I often use the two together for best results. 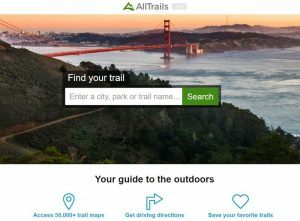 AllTrails – a user-driven free app with over 50,000 trails curated by over 4 million users. Use your phone’s location to find hikes near you (there were 250 trails near me). Each hike includes topo maps, elevation profiles, photos, reviews and comments. A premium paid edition provides additional features. AllTrails is an indispensable app for hikers. Hiking Project – a user-driven free app from outdoor retailer REI Co-Op. It includes over 37,000 trails. You can input your location to find hikes near you. Each hike includes topo maps, elevation profiles, step-by-step trail gradients, photos, reviews, comments and nearby trails. REI also has a companion app for hiking within national parks and monuments, REI National Parks, with over 5,000 hikes. ViewRanger – a free app which uses maps from major outdoor brands, tourism agencies and users. It includes many of the same features as the above apps. What makes this app unique is that it has an augmented reality feature called Skyline that uses your camera phone to label geographic features while on your hike. Very cool! Pinterest isn’t just for cupcake recipes and crafts anymore! Still looking for resources? Pinterest is good for more than just DIY party decorations. It can also be a valuable search tool for local hikes. 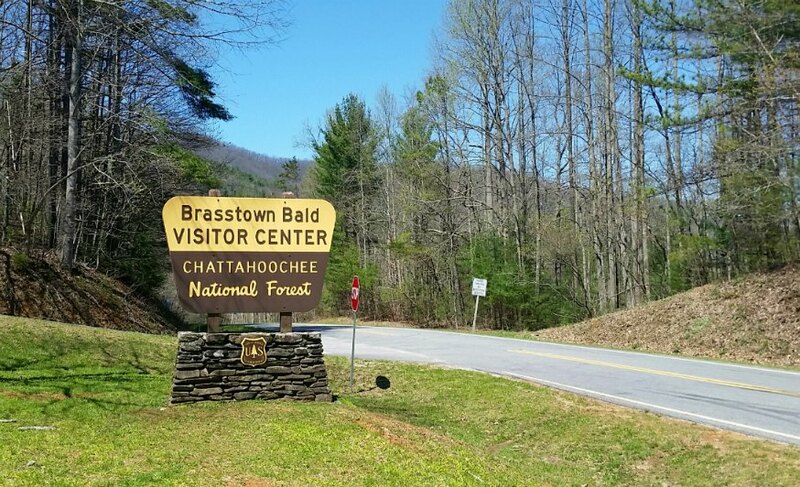 A search on ‘hiking near Brasstown Bald’ on Pinterest returned hundreds of pins with related information. Two of my favorite pins led me to local hiking blogs where I found great reviews of fantastic hikes in the area. I even figured out my next hike (Stone Mountain) and it was only two miles away! You can also use social media applications to find information on hikes. A search using hashtags on Twitter will return tweets with links to useful information. 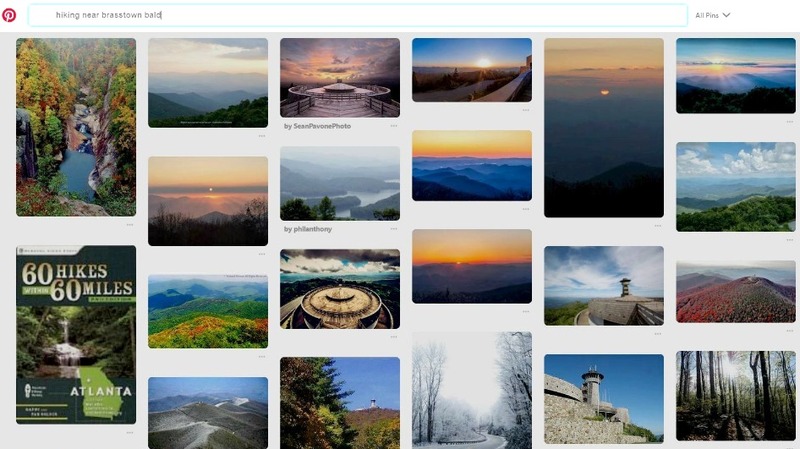 And if you’re a visual person who needs an amazing photo to convince you that the hike you’re planning will be great, you can search Instagram using hashtags as well. A video can really help you get a feel for a prospective hike. If you’re more into videos, Youtube is a great place to find hiking-related content. I searched on ‘Brasstown Bald’ and found thousands of videos including some incredible drone footage. A word of caution: the content is so great on Youtube that if you watch too many videos, you may feel like you’ve already been there. Personally, the videos I’ve watched have never spoiled a hike for me as nothing compares to hiking it yourself and seeing it with your own eyes. Facebook can be a great resource if you know how to use it. Lastly, the social media giant Facebook can be a helpful resource. 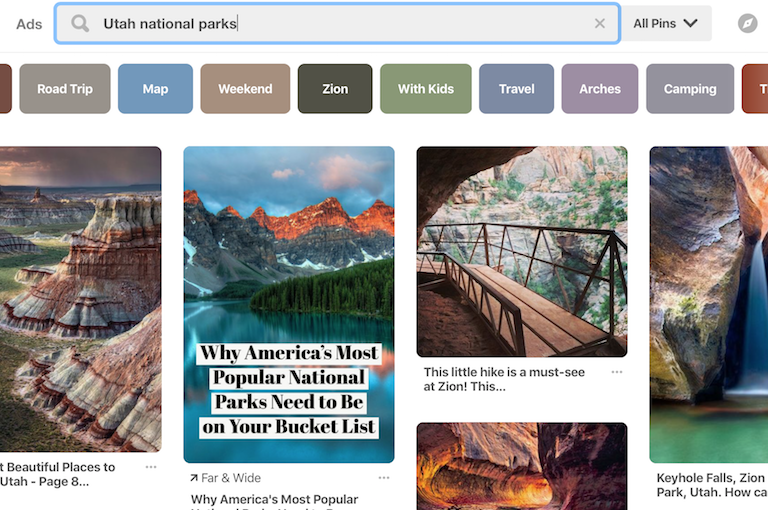 A search on a hike you’re interested in will likely return pages, links, videos, photos and even posts from your friends with valuable information. There is even a new and growing Facebook group — RVers Who Hike — that you can join to ask questions, share ideas and get first hand information. As you can see, there is so much information out there to help you find and plan your hikes. The next time you’re traveling in an RV and looking for that next great hike, I hope you find these resources helpful in getting you out on a new trail. 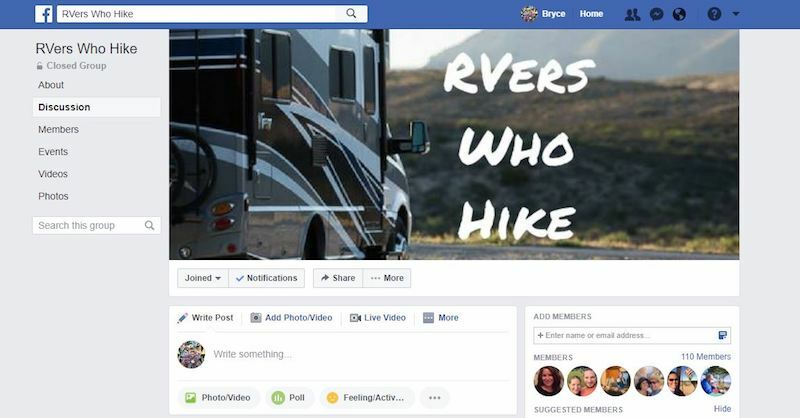 Looking to rent an RV? Check out the selection on Campanda to find one in your area or near the hiking destination of your dreams! Rent it out! Campanda lets you name your price, select your dates and choose your renters. Make your rig earn its keep on your own terms!